11th Sept.2014 which we celebrate as Universal Brotherwood Day has been celebrated at Surat from :6:30p.m to 8:00p.m with the Sanskar Varga Children & parents, Vistar karyakartas at Punagham Vistar, Surat. There were 70 participants. The Karyakram were began with Deep Prajaolan and the prayer, Geet: Vishva Dharma Ki Jay ho, Incident of Ma. Eknathji as a “ Never Give Up & Uniting the whole country for the national work & the incident of Swami Vivekananda as Face the brute”. These incidents were presented by the Sanskar varga Children of different Vistar. 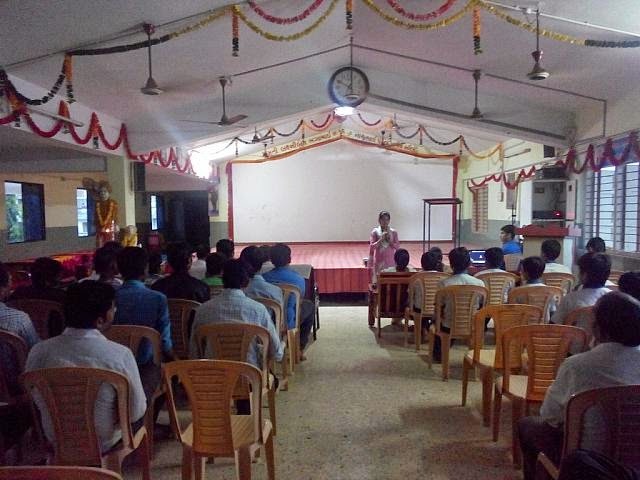 And the lecture on the Universal Brotherhood Day by the principal of LPD School Shri. Vijaybhai Patel.